Anyone responsible for making improvements in their jobs or on teams. Why are Quality Improvement Fundamentals so Powerful? This targeted training makes a strong and compelling case for using data to analyze problems and make decisions. Learners are introduced to 8 Quality Improvement Tools that will enable them to easily collect data, uncover clues and fix problems either on their own or in teams. This course doesn’t support any particular methodology, but rather focuses on the core tools and techniques that are at the heart of any problem-solving process. 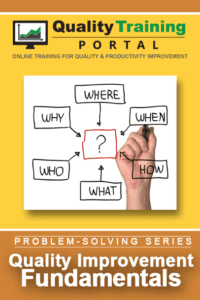 For training on specific problem-solving methodologies please check out 8D Problem-Solving online training or DMAIC Basics online training. Learners should have an interest in making improvements in their jobs. Data can help us better understand the processes we work in and compare past performance to current performance. It is important to document the improvement target before tackling a problem. How to turn data into a picture. Looking for patterns in the data. What do patterns tell us. Getting to the root cause of a problem. Understand and respect the need for data to make decisions. Realize how the use of a Problem Statement helps to focus an improvement effort. Recognize that all processes have inputs, value-added and outputs as well as variation in each aspect. Appreciate how data display tools transform information into a graphical display of patterns that are clues to learning more about a process. 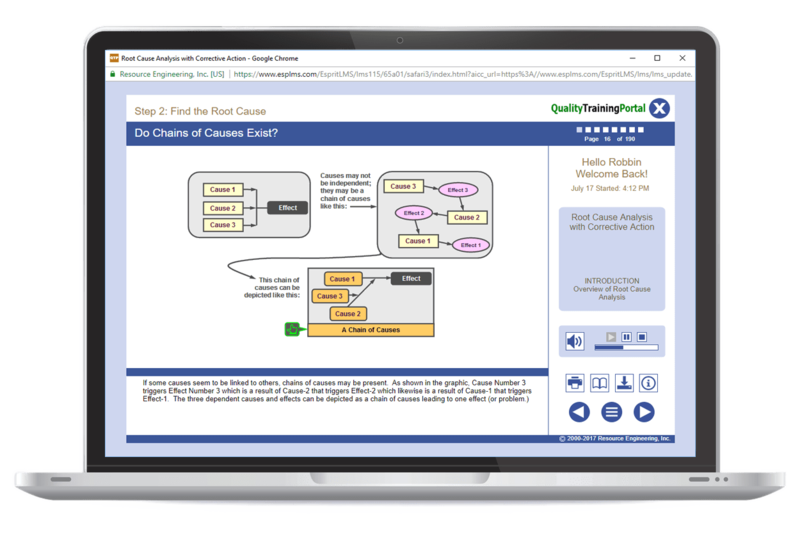 Learn how to use common data collection and display tools such as Cause and Effect Diagrams, Tally Sheets, Histograms, Trend Charts, Scatter Diagrams, Concentration Diagrams, Pareto Charts and Process Maps. Know how to combine tools to generate a different perspective of the process under study. Be familiar with how patterns (from data) can be used to develop a working theory. Understand that identifying the root cause is a significant event. Be familiar with verifying and validating the solution to a problem.